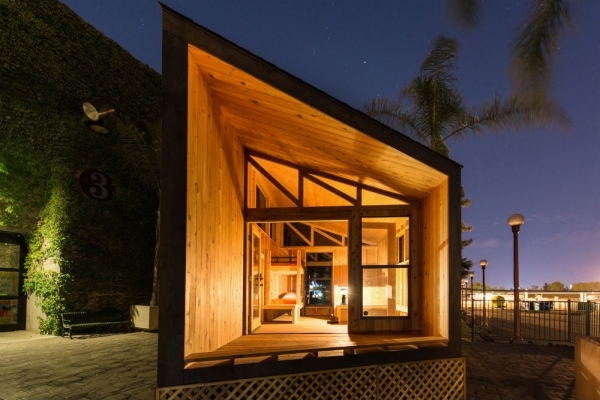 Curbed LA calls the Wedge a “snappy-looking cabin” in its Aug. 27 report on the work by the Cal Poly Pomona’s Architecture 503 studio and the Revamp the Camp project. “The students aimed to create a cabin that would be ‘inventive, low-cost, [and] eco-friendly,’ while still being design-y and appealing,” the article by Biana Barragan reads. The Wedge will be showcased at the L.A. County Fair until Sept. 28.